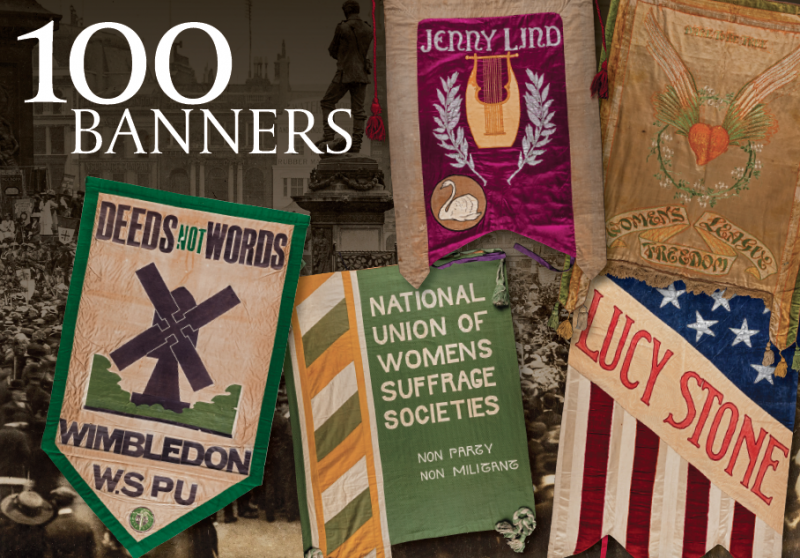 Our first meeting of the year is on the 16th Jan.
We will be looking at, working on and talking about our banner for the 100 Banners Project; celebrating 100 years since the Representation of the People’s Act, which first gave women the right to vote. 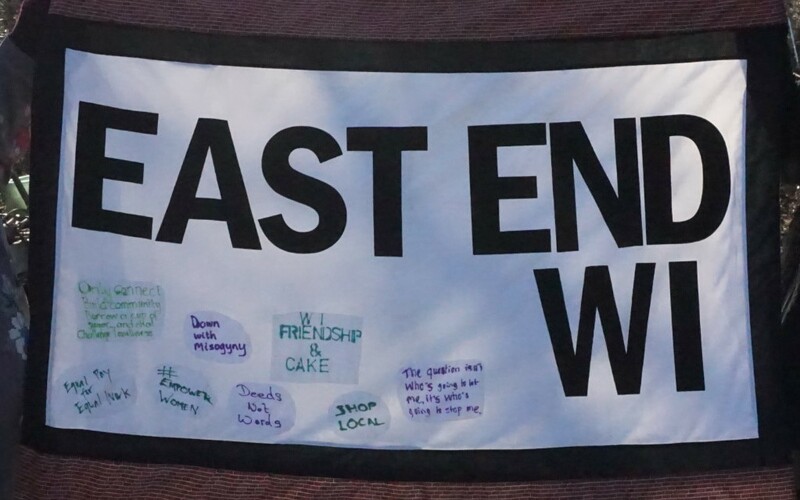 The design is to put out EEWI logo onto a printed brick background and then add bits of personal graffiti, from all of us. So we will provide the materials and are looking for you to come with ideas. Alongside this activity we will also decide which charity to make a donation to for this year and whether and how to work with that charity in some way. At our December meeting there were several suggestions, some that expressly fit in with combating loneliness theme. To enable you to explore these ideas further I have listed them below and added links to take you to their websites. They all have local facilities and we have heard from them over the past few years. In addition a few of us are already volunteering with them and some have benefited from their services. Bow Foodbank - Specifically, we could help with children’s goody bags for next Christmas. Sick Children’s Trust - Stevenson House, provides accommodation for families with a child at the Royal London Hospital. Cocktails in Care Homes - Devised and organised by Magic Me, we could fund and volunteer for one or more cocktail party in Tower Hamlets, or further afield. Hestia - Supports adults and children across London in times of crisis. As usual we will meet from 7, and aim for a 7.30 start at St Margaret’s Hall, behind the Gallery Cafe on Old Ford Rd. Our next coffee morning will be on 19th Jan, at The Larder Cafe, 241-243 Globe Road, Bethnal Green, E2 0JD, meting from 10.30. On the 27th Jan we have our first cake event of the year. We will be offering tea & cake to the East of London Family History Society, between 12-5pm at The Art Pavilion in Mile End Park. We will need some cakes and a few helpers on the day. If you would like to help please get in touch with Natasha on 07701015588. Being a new year it is time to renew your membership of EEWI. The subscription for 2018 is £41.00. Half of this is kept by us, to fund meetings, including the hire of the hall and to pay for speakers and activities. The other half is split between the Middlesex and National Federations. You can belong to more than one WI, by paying the full membership fee to the first WI, and a further £20 to any other WI. Or you can bring a cheque or cash to the meeting. As we are currently putting together ideas for this year’s meetings the committee would love to have your ideas for activities and interests you would like us to consider. Our next committee meeting is due to be on the 23rd Jan, and members are welcome to join us.